Our goal is to make the La Loma Neighborhood a safer, and more beautiful place for all of Modesto to enjoy! We currently have two projects under way. Our main focus is the restoration of the East La Loma Park playground which the city has removed. La Loma Neighborhood is seeking both corporate and neighborhood sponsors for this large scale project. La Loma Neighborhood is part of Modesto Neighborhoods, Inc., a 501(c)(3) organization. Your donations are also greatly needed to make this project possible! 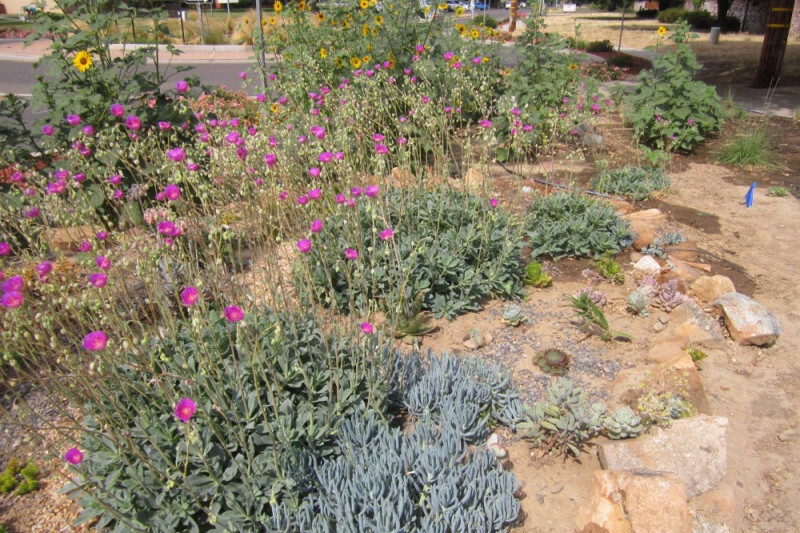 Our Native Plant Garden is an on-going project that we have been developing over the past couple of years. We have taken a previously barren, weed-infested stretch of land and turned it into a flourishing garden where people from all of Modesto can come and learn about native plants. Donations will help benefit this community garden. As both the East La Loma Park Playground and the Native Plant Garden are community resources, your donations will help improve and beautify our city at large! If you would like your donation to go specifically to one of these projects, please specify in the comment section when you donate. Thank you for your support!! !